Do Not Forsake Me Oh My Darling Premiere Music Video for "Episode 10 - Living in Harmony" Bishop and Rook: Do Not Forsake Me Oh My Darling Premiere Music Video for "Episode 10 - Living in Harmony"
Do Not Forsake Me Oh My Darling Premiere Music Video for "Episode 10 - Living in Harmony"
On a quest to write and record 17 songs, each one based on and inspired by an episode of the '60s cult sci-fi TV series, The Prisoner," Boston band, Do Not Forsake Me Oh My Darling, have premiered the music video for "Episode 10 - Living in Harmony", off By Hook or By Crook. 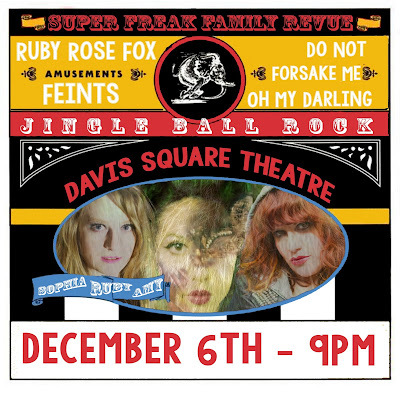 You can catch Do Not Forsake Me Oh My Darling with Ruby Rose Fox and Feints at Davis Square Theatre on December 6th. Additional show information and tickets purchase can be found at BrownPaperTickets.com.